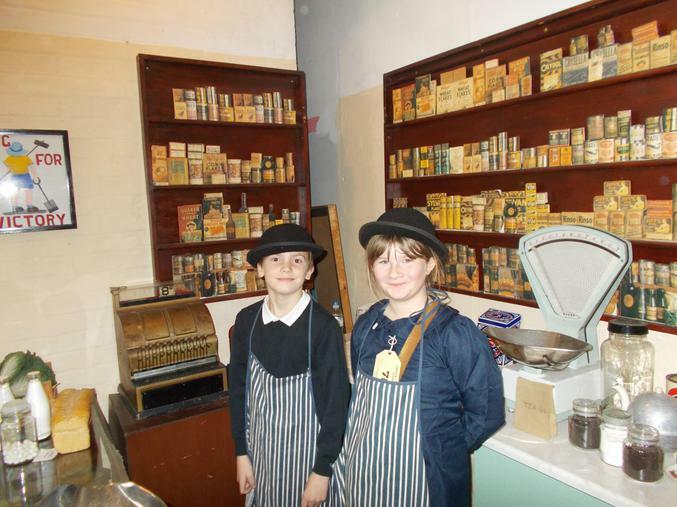 The children all dressed as evacuees for the day and once we arrived we were back in 1940. 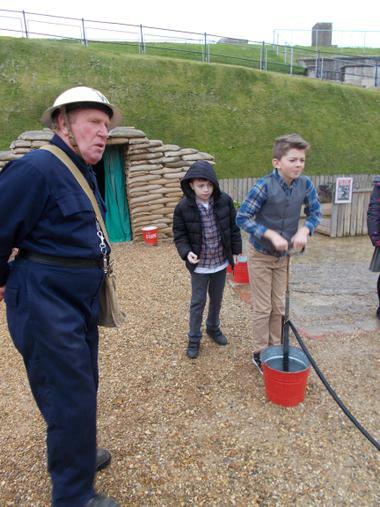 The children were taken to the local evacuation centre and some were 'chosen' by local villagers including the headmaster! 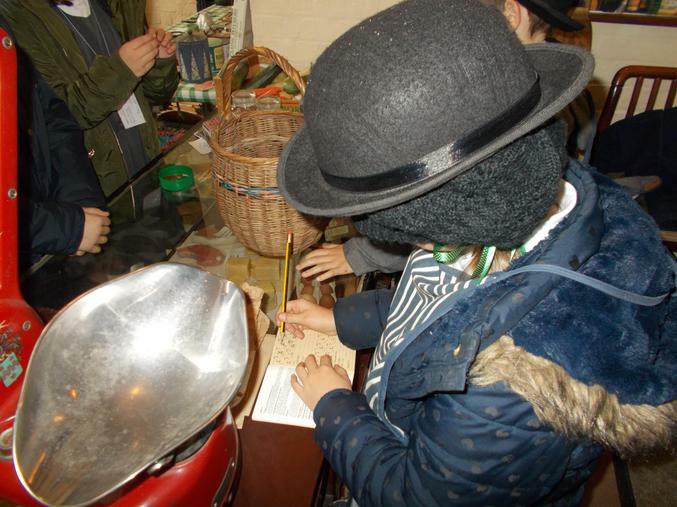 Then we split into 4 groups to experience life as an evacuee. 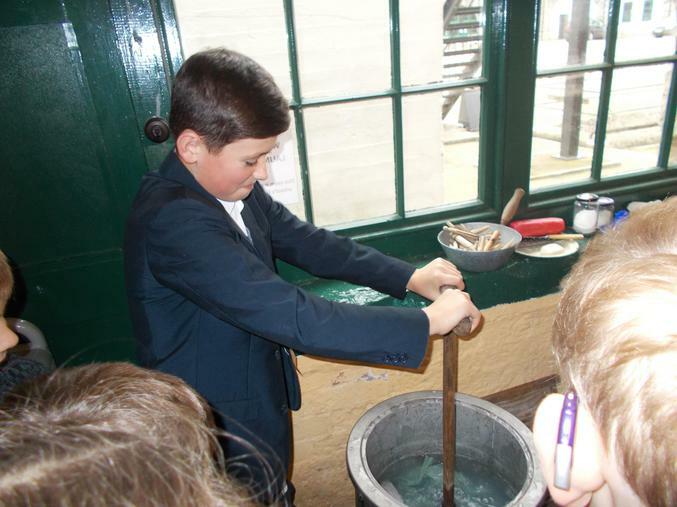 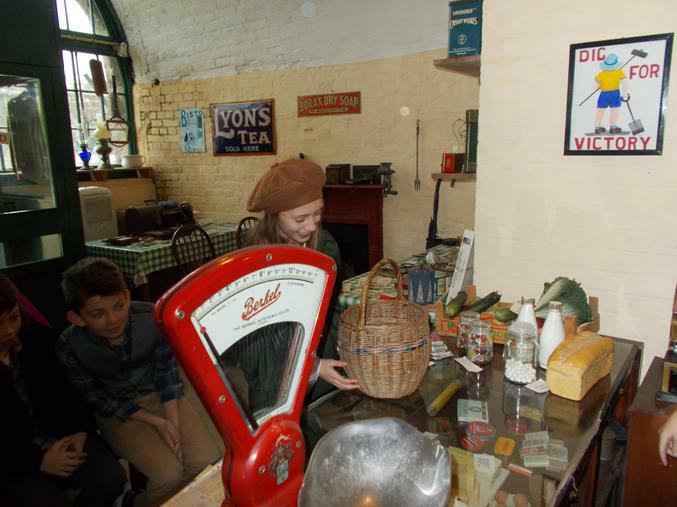 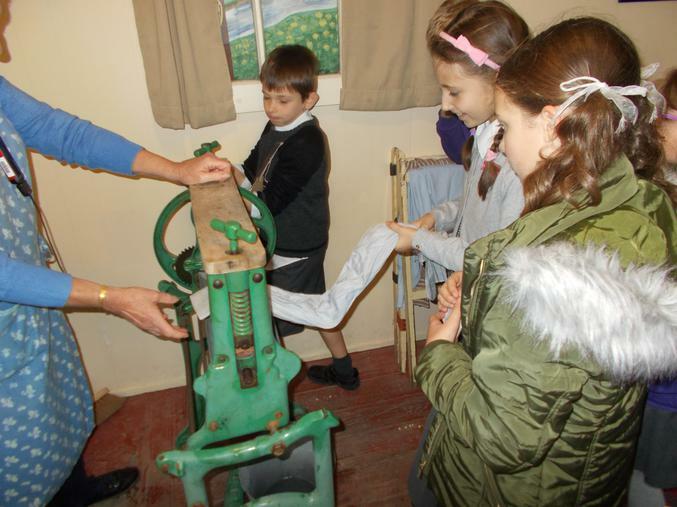 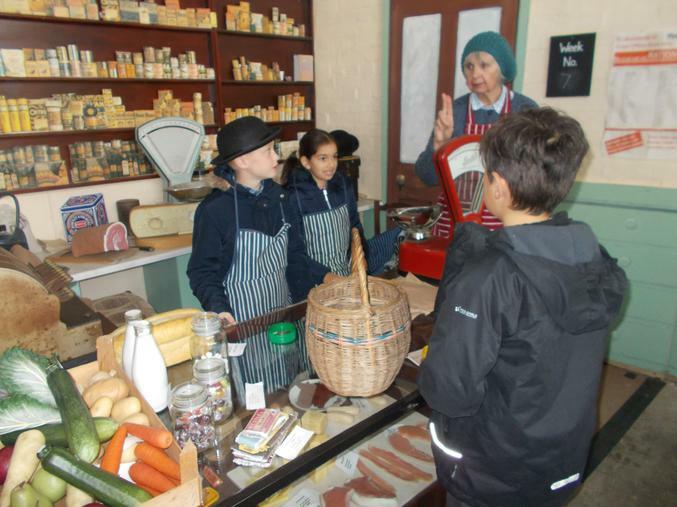 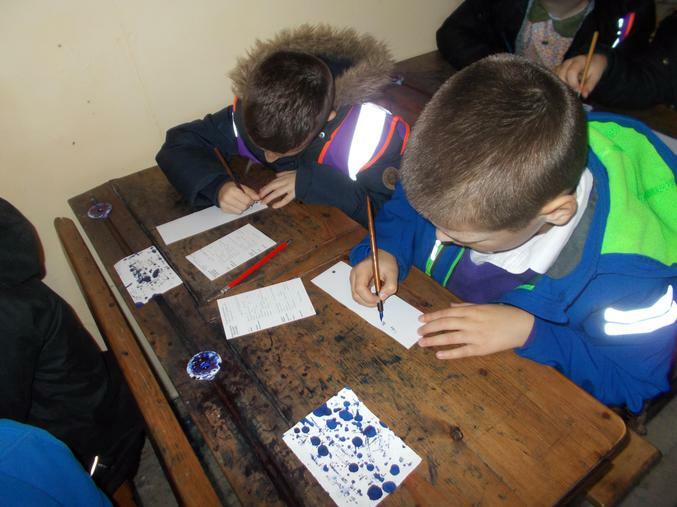 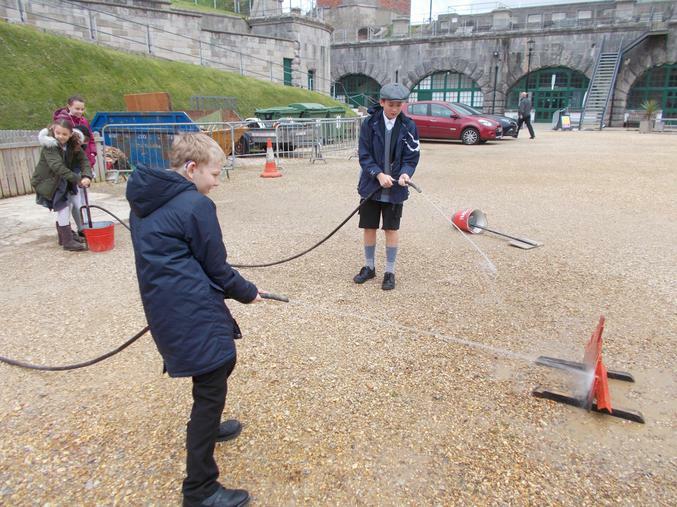 We shopped at the village shop using 'old' money; we learnt how women washed clothes and cooked during the war; we learnt about the ARP and experienced an air raid for ourselves; we learnt about Weymouth during the war and had a school lesson with a strict teacher!! 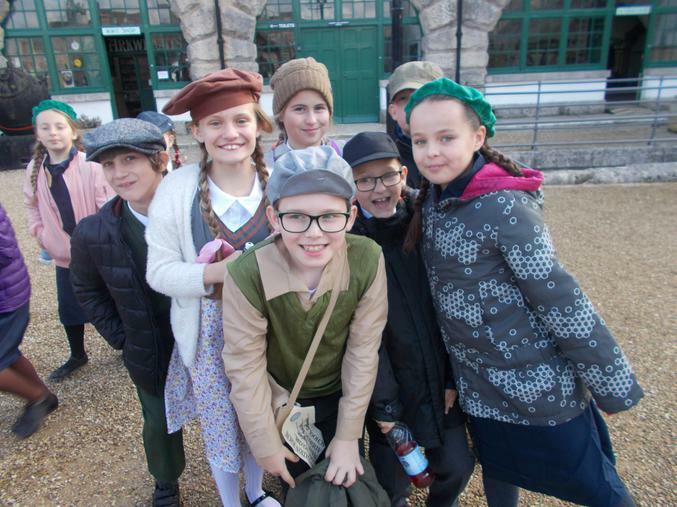 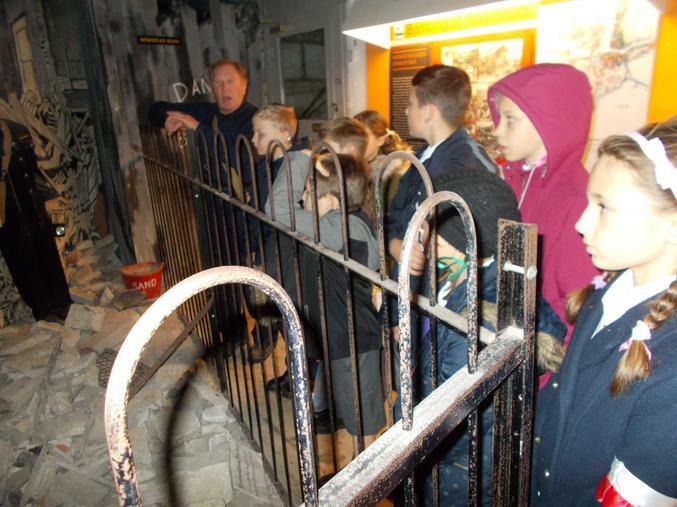 We all had a fabulous day and learnt a lot about WWII. 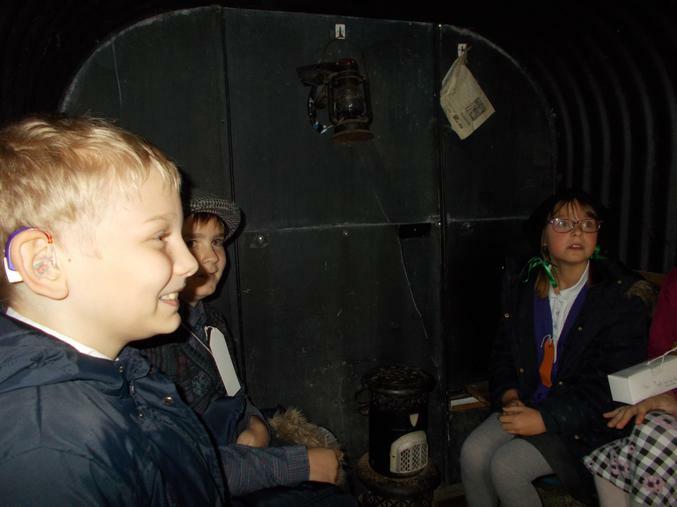 The children were a pleasure to take.